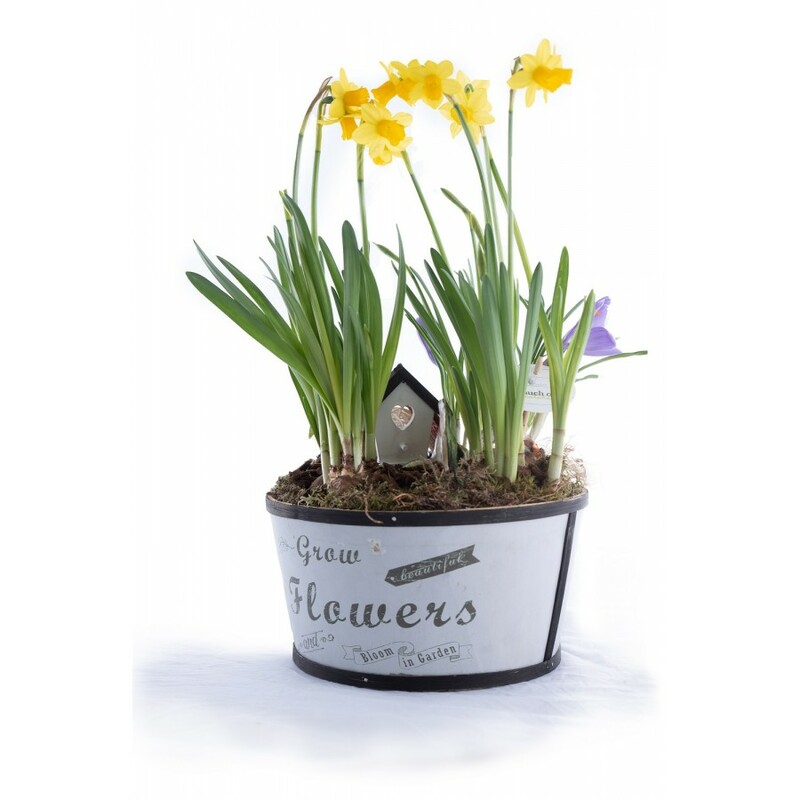 This charming tete a tete will sit perfectly indoors or out. Treat your loved one to this bright arrangement and put a smile on their face this Spring. Presented in a shabby chic style planter and finished off with a cute bird box keepsake.